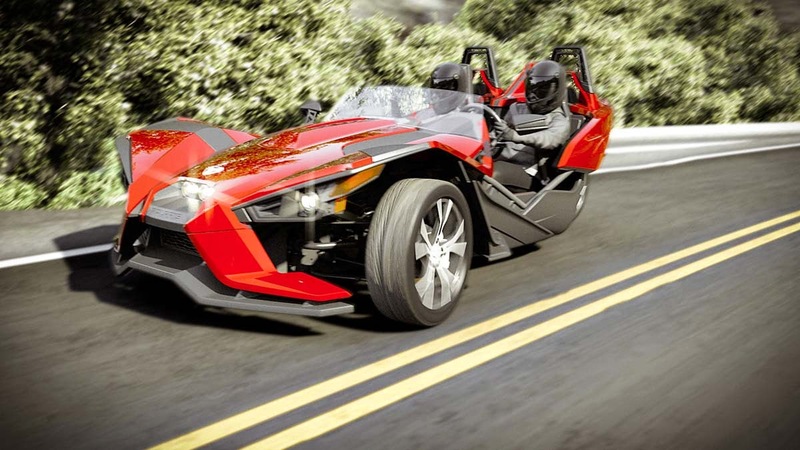 There's been another blow to Polaris' three-wheeled... uhm... thing known as the Slingshot. The state of Connecticut says it's not a motorcycle. That's a setback for Minnesota-based Polaris, who insist otherwise. Last month Polaris representatives met with officials from the Connecticut Department of Motor Vehicles for demo rides of the vehicle, which features a steering wheel and car-like seating. Polaris insists it's a motorcycle based primarily on its motorcycle-like engine configuration and unique riding/driving experience. The state of Connecticut says the Slingshot's enclosed driver's seat and enclosed motor make it a car. Calling it a car would make it subject to more rigorous safety and environmental standards than those applied to motorcycles -- standards the Slingshot does not currently meet. This is the second time Polaris has run into problems over the definition of what a motorcycle is. Biker News Online reported in November that the state of Texas had also raised questions about the Slingshot. In the case of the Lone Star State, the vehicle's seating was the primary hurdle: Texas says a motorcycle needs to have a saddle to be a motorcycle. Polaris says it wants to work with Connecticut state legislators to create a new category for three-wheeled vehicles, similar to efforts it has participated in in the state of New Mexico. In the meantime, however, the Slingshot will not be allowed for use on the public roads of the Nutmeg State.